Product categories of Shale Shaker Screen, we are specialized manufacturers from China, Wire Mesh Screen, Metal Mesh Screen suppliers/factory, wholesale high-quality products of Derrick Shale Shaker R & D and manufacturing, we have the perfect after-sales service and technical support. Look forward to your cooperation! The product is the damageable components of the vibrating equipment,the interface was painted felt solid between metal plate and screen cloth,it shapes the felt layer,so the sievesd cloth and metal plate become s body,it make up the full felt solid napped component. The main characteristic:the usage cost is low,conviebt,to dismantle and install long usage life,It is the ideal fittings of the vibrating sieves.In addition to this,we also provide wire screen,screen wire. Oil Vibrating Sieving Mesh is also known as vibrating screen. Materials: Stainless Steel Wire, Plastic Netting, steel plate, galvanized steel plate. Features: Corrosion resistance, heat resistance. Specification: Plate thickness: 0.3-8mm. Short grid distance: 3-80mm. Long grid distance: 3-200mm. Maximum width: 2.0m. 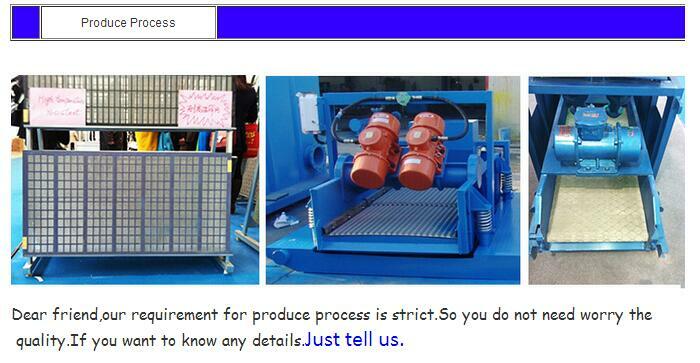 Uses: As vibrating screen for petroleum equipment.